TORONTO, ON – Labatt Breweries has announced that its oldest current brand is being tweaked in celebration of Canada’s sesquicentennial. 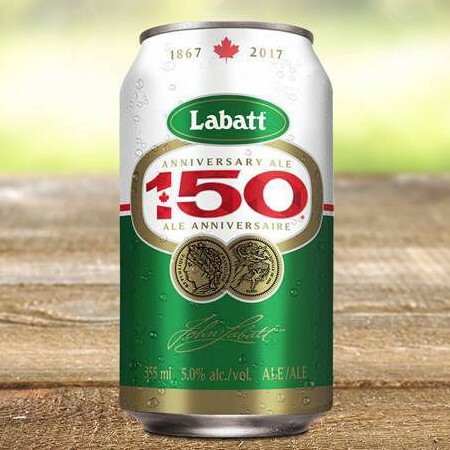 Labatt 50 – the golden ale launched in 1950 to mark the 50th anniversary of the brewing partnership of John and Hugh Labatt, grandsons of brewery founder John K. Labatt – will be rebranded as Labatt 150 for the summer of 2017, marking the 150th anniversary of Canadian confederation. Labatt 150 is being rolled out now in Ontario, Quebec, Manitoba, British Columbia, Alberta, and Newfoundland in 355 ml and 473 ml cans, with can format and case size availability varying by province. For more details, check with local beer and liquor retailers.